Ospreys are hopeful of being boosted by a trio of returning Wales internationals for their Champions Cup match against Northampton. 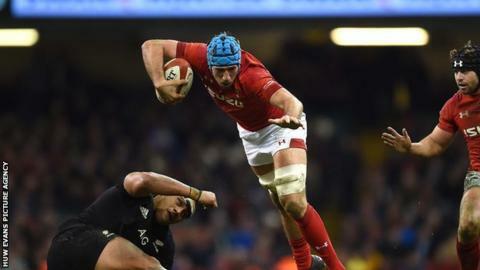 Wales half-backs Dan Biggar and Rhys Webb and injury-plagued flanker Justin Tipuric could all be in contention. All three sat out the 43-32 victory at Franklin's Gardens, which kept alive the Ospreys' European hopes. Tipuric has made just one brief appearance for Wales in the last two months because of a thigh problem. "We were a few boys down at the weekend with minor knocks in the autumn internationals, Dan Biggar, Rhys Webb, Justin Tipuric, they'll all come into contention," confirmed forwards coach Allen Clarke. "Tips has played a lot of top-class rugby over the last couple of years and sometimes it just catches up with you, so hopefully he can get a run of games and add to the group as a whole." Northampton will be under the temporary control of Alan Dickens after the departure of Jim Mallinder, who was removed from his post as director of rugby after more than a decade at the club. "You don't take any satisfaction from that when you're in this business," said Clarke, a former player with Northampton in the nineties. "Jim's done a tremendous job at Northampton, but we're focussed on our mission this week."